The aging process is multifaceted, encompassing the manifestation of wrinkles, gravity, and volume loss. The last - soft-tissue, bone, and fat loss - is a relatively new concept of how aging occurs, and it has become the cornerstone to my rejuvenation practice. I truly believe that volume loss, especially around the eyes, is the principal expression of aging and merits the most attention. Fat grafting, which is the subject of this chapter, is the main method by which I restore lost volume to the face as well as to the hands. When a person is clothed, the two exposed parts of the body that give away aging are the face and the hands. 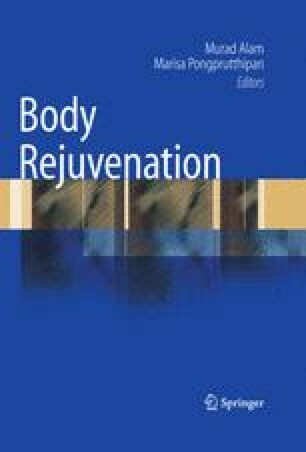 Therefore, I believe that hand rejuvenation can be secondary only to the face in terms of importance in overall face/body rejuvenation.